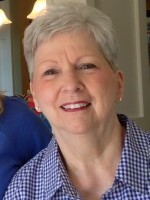 Linda Burton of Allegan passed away Saturday, January 31, 2015 in Allegan. Linda was born July 29, 1948 in Kalamazoo to Arthur and Ruth (Miller) Livingston. She had worked at the Alamo Nursing Home for several years and enjoyed watching wrestling and stock car racing with her son. Surviving are her sister Sally (Dennis) Waldron of Allegan; a niece, Ginger; a nephew, Dennis; and a great nephew, Heath. Preceding her death were her parents; her son Alan Misner in 2010; and a sister Sandy Livingston. Cremation has taken place. A Memorial Service will take place at a later date at the Allegan Assembly of God Church. Dennis ‘Denny’ Corradini of Otsego passed away Friday, January 30, 2015 in Kalamazoo. Dennis was born March 28, 1950 in Kalamazoo to Charles and Pauline (Rice) Corradini. Dennis had owned Service Plus Disposal and Jade Isle Ltd. Dennis was a religious man and had been active in several area churches where he enjoyed evangelizing and volunteering. In his leisure time he enjoyed working with his tools and organizing his garage. He especially loved his family; he had volunteered as a coach for his children’s sports teams and enjoyed his grandchildren often organizing games and having fun. On June 6, 1970 he married Nancy Young who survives. Also surviving are his children, Lisa (Jim ) Watson of Otsego and Jason (Danielle) Corradini; 8 grandchildren, Reece Babb, Carson Babb, Owen Watson, Ryan Watson, Triston, Noah, Oakley and Gatlin Corradini; his siblings, Charlie (Tammie) Corradini of FL and Kathy (Mark Rusan) Corradini of Otsego; his mother-in-law, Georgia Young and many nieces, nephews, aunts, uncles and cousins. He was preceded in death by his parents and a nephew Doug Corradini. Friends may meet with his family at the Winkel Funeral Home, Otsego on Tuesday from 2-4 P.M. and 6-8 P.M. where a Funeral Service will be held on Wednesday at 11:00 A.M. Burial will follow at Mountain Home Cemetery, Otsego. 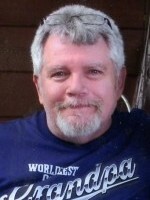 Contributions in memory of Dennis may be made to the American Diabetes Foundation. Marjorie Youtzy of Otsego passed away Friday, January 30, 2015 in Otsego. Mrs. Youtzy was born December 5, 1914 in Watson Township to George and Florence (Kelly) Germain. On October 19, 1932 she married Frank Youtzy in Battle Creek. In her leisure time Marjorie had enjoyed dancing, painting, crocheting, gardening, knitting and had been skilled at caning chairs; she had many talents. Surviving are her children, Wanda Sheridan, Dawn Forney and Cecil Youtzy; 13 grandchildren; 20 great grandchildren; her sister Doris Reynolds. She was preceded in death by her husband Frank in 1994; 4 sisters and 1 brother; a son, Alfred ‘Bill’ Youtzy; son-in-law Ralph Forney and daughter-in-law Paula Youtzy. Cremation has taken place. Burial of ashes will take place at Mountain Home Cemetery, Otsego. 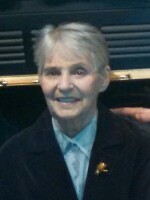 Contributions in memory of Marjorie may be made to the American Heart Association. John passed away Thursday, January 29, 2015 at Borgess Medical Center in Kalamazoo. 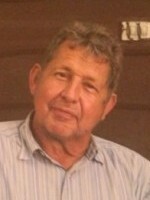 John was a devoted husband, father, grandfather and beloved son. He was born August 6, 1956 in Kalamazoo the son of John Summers and Joelene (Morrell) Staffen. John enjoyed wrestling while in high school and had also wrestled for a year at WMU. He had worked for NWL/Parker Aerospace for 21 years. John loved fishing, coaching his children in sports, following UofM football, spending time on his pontoon boat, and spoiling his grandchildren. 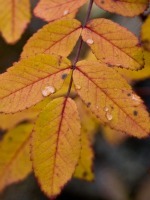 On August 22, 1981 at the Plainwell Conservation Club he married Theresa Young who survives. Also surviving are his children, Ryan (Blair) Summers of Cleveland, OH, Reed (Jessica) Summers of Otsego and Cameron Summers of Plainwell; his grandchildren, Carlie and Presley; his mother, Joelene Staffen; his father, John (Mary) Summers; his siblings, Tim (Valerie) Summers and Jill (Tom) Connor and many nieces and nephews. He was preceded in death by his step-father, Roger Staffen; uncle, Don Keene and by his father –in-law, Donald Young. A Celebration of John’s life will be held Monday, February 2, 2015 at 2:00 P.M. at the Gun Plain Township Hall. Contributions in memory of John may be made to the Make a Wish Foundation. Oneta passed away Thursday, January 29, 2015 at her home in Otsego. She was born December 24, 1943 in Kalamazoo to George and Evelyn (Sieling) Eby. Oneta was an avid reader and also enjoyed golfing, fishing, bowling, and spending time with her family. On December 2, 1977 in Otsego she married Dennis Myers who survives. Also surviving are her son, Donald Kuiper; step-sons, Gene (Tina) Myers and Shane (Tracy) Myers; grandsons, Cory (Melissa) London, David Kuiper, Kilah Kuiper, Tristan Kuiper, Charlee Myers, Matthew Myers, Connor Myers and Michael Myers; 4 great-grandchildren; brother, George Eby and her mother-in –law, Frances Myers. She was preceded in death by her parents and daughter Kimberlee Ballay. A Memorial Service will be held Friday, February 6, 2015 at 11:00 A.M. at the Allegan Christian Center with Pastor Paul Knuckles officiating. Contributions in memory of Oneta may be made to Great Lakes Caring Hospice. Bruce passed away Monday, January 19, 2015 at Rose Arbor in Kalamazoo. He was born February 28, 1943 in Middleville to Henry “Bud” and Helen (Shaarda) Bronkema. He had worked at Rog and Bob’s in Otsego for several years and then spent 27 years working for Menasha as a millwright. 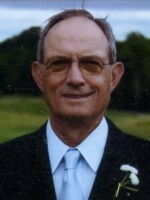 Bruce enjoyed golf and was a member of Pairiewood Golf Course. He also liked drag racing, woodworking, and following the Detroit sports teams. Surviving are his children, Mike (Jodie) Bronkema and Lori King; 5 grandchildren, Mike Bronkema, Kori Bronkema, Jeff Bronkema, Bryce Bronkema and Christofer King; 4 great-granddaughters, Trinity and Taryn Jenkins and Jaidyn and Jordyn Card, and brothers, Bob (Ann), Duane (Lynn) and Don Bronkema. He was preceded in death by his parents; his wife, Patricia in 2012, and by his sister Kay Bronkema-Darling. Friends may visit with Bruce’s family Thursday, January 22, 2015 from 1-2 P.M. at the Winkel Funeral Home, Otsego. Burial will take place at a later time at Hillside Cemetery in Plainwell. Contributions in memory of Bruce may be made to Hospice Care of Southwest Michigan. Thomas passed away Monday, January 19, 2015 at Borgess Medical Center, leaving behind his loving family and friends. He was born September 10, 1939 in Grand Rapids the son of Floyd and Janet (Mieras) DeYoung. Tom served his country in the US Air Force from 1957-1961, serving one year in Thule, Greenland. He was a member of the Men’s Auxiliary VFW Otsego Post #3030. He moved to Kalamazoo where he met his future wife Patricia Brant while working at Eastland Bowl where he was manager. They wed in 1986 in Vegas. Together Tom and Pat spent many years traveling the USA on their motorcycles and played pool in tournaments and leagues. He later went to work at Airway Lanes as manager for Gordy Krum. He enjoyed working with the senior citizen leagues and junior bowlers. He loved making people laugh and always had a joke to share. He leaves behind his wife Patricia; their dog, Willie; his daughter, Tracey (James) Dear; his son, Tom Jr.; his step-son Kevin (Darlene) Lapekas; his sister, Mary (Frank) Bodor; sisters-in-law, Sharon DeYoung and Sharon (Gordon) Gilmore; 4 grandsons, James, Jalen, Jeremiah and Ken; several nieces and nephews. He was preceded in death by his parents and brother, Richard DeYoung. A private gathering of his family will take place at a later date this summer. 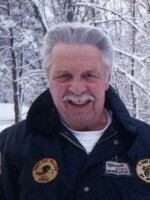 Contributions in memory of Tom may be made to the SPCA or to the VA Hospital in Battle Creek. June passed away Sunday, January 18, 2015 at The Springs at Bronson Place in Kalamazoo. She was born July 2, 1942 in Battle Creek. For many years June had worked at Wesco and Westgate gas stations and also at Big Wheel. 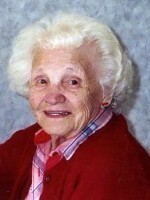 June loved going to country music concerts and also enjoyed crocheting, watching movies, playing bingo and shopping. Surviving are her children, Timothy Wells of Martin, Greg Dyer of Alabama and Sheila Smith of Tennessee; her brother, Albert Fink; her grandchildren; great-grandchildren; many nieces, nephews and her ex-husband, Orrin Wells of Martin. She was preceded in death by her parents and by her siblings, Arthur Fink and Katie Bell. Burial of ashes will take place at Reese Cemetery in Battle Creek. Barbara passed away peacefully Sunday, January 18, 2015 at her home in Plainwell. She was born August 13, 1941 in Three Rivers to Irvin and Ardith (Lovejoy) Briggs. For 25 years she worked for First of America Bank as a teller and continued through the change to National City and PNC, retiring in 2005. Barb enjoyed volunteering at Plainwell School’s Hand to Hand program, blood drives and helping at the voting booths. In her leisure time she liked to knit and play dominos with her girlfriends. Barb had amazing sewing skills, a meticulous lawn, and was known for her world famous potato salad. On January 28, 1961 she married Stanley Jager who survives. Also surviving are her daughters, Cristine Black and Jodi (Troy) Sevigny; grandsons, Drake and Chase Black and Logan and Carson Sevigny and her sister, Marsha Loveland. The family extends an invitation to a Celebration of Life gathering to be held Monday, January 26, 2015 from 3 to 6pm at the Gun Plain Township Hall, 381 8th Street, Plainwell, MI. Contributions in memory of Barb may be made to the Plainwell Schools Hand2Hand Fund. Carleen Arndt of Holland, MI (formerly of Otsego) passed away Tuesday, January 6, 2015 in Holland. She was born October 30, 1941 in Allegan to Willard and Mabel (Carl) Brooks. Carleen grew up in Otsego and had raised her grandson, Carl ‘Bud’ Arndt. Surviving are her children, Rayline Sink of South Haven, Michelle Warner of Holland, Pixie Puente of Allegan, Joseph Warner of Delton and Carleena Carwile of Allegan; 11 grandchildren; many great grandchildren; her sister Nancy DeVey of Beaverton, OR and 2 nephews. Preceding her in death were her parents; a daughter, JeyLee Jones and her step father Paul Woodstock. Cremation has taken place.